Ask3 is one of my favorite free iPad apps for educators. This is an excellent app that teachers can use to teach any subject for any curriculum. 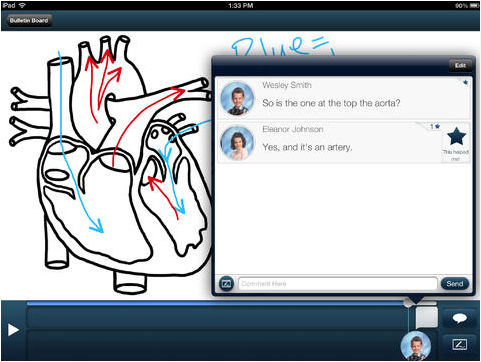 Ask3 allows users to visually explain a topic by importing a image (or draw) and then record narration for explanation. I like to think of it as Skitch w/ the ability to record audio and collaborate w/ others. Best of all, a educator can use it to collaborate w/ students by asking questions and having them respond. This is ideal for flipping a classroom or guided learning. I highly recommend checking out Ask3 by clicking here!! !